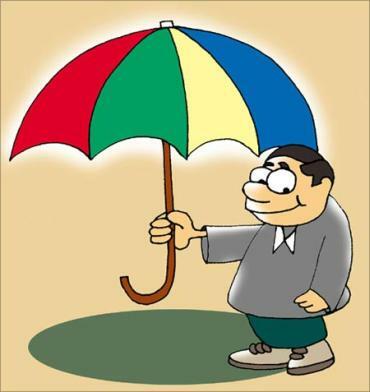 Rediff.com » Business » Should you buy insurance when single or married? It is ideal to purchase life insurance as soon as you become financially independent, advises Pankaj Razdan. I am 25 and have just started earning. People are asking me to purchase life insurance. I am healthy, unmarried and do not have any liability. Does it make any sense for me to purchase life insurance? Wouldn't it be better if I purchase it after my marriage? It is always prudent to purchase life insurance early. While many factors influence life insurance premiums, age is one of the most critical components. It is ideal to purchase life insurance as soon as you become financially independent and can afford to pay the premiums. Ironically, most people only start thinking about the need for a cover after having a family and kids or once they find that their health is declining. Unfortunately, by this time the premiums become very expensive. At your age, premium rates will be much lower owing to lower mortality. Hence you should opt for a life insurance policy now with increasing cover option to take care of your future responsibilities. This option will ensure that you are adequately covered at every stage of your life. I have two term policies of Rs 2.5 million and Rs 5 million from different insurers. I also have a money back policy for Rs 1 million. In case of a claim, will the three policies be enforceable? Also, should I combine all these covers with only one insurer or continue with the existing policies? In your case, the claim will be payable by all your policies provided all of them are active and you have been paying the premium regularly. It will be beneficial for you to continue with existing policies rather than opt for a single insurer. If you go ahead with one insurer, you will have to either compromise on coverage or purchase a new policy matching your current cover provided by the three separate policies. For the new policy, new and higher premium rates will be applicable based on your age and health conditions. I am 37 years old and am planning to purchase a life insurance solution. Does it make sense to opt for waiver of premium cover? How can I purchase one? A waiver of premium rider is extremely useful as it allows the insured and his or her nominees to remain covered even if the policyholder is not in a state to pay the premiums. We live in a world disposed to uncertainties like accidents and illnesses. It often happens that one is left unemployed and unable to pay premiums. At such a time, the waiver of premium rider proves very helpful. It is even more important if you have children as the premiums are completely waived off in case of untimely demise of the policyholder, while the policy benefits continue to secure the kids' future. Therefore, it will be prudent for you to opt for a waiver of premium rider. For a minimal premium, you will be able to provide additional cover for your family. You can opt for this rider at the time of policy purchase or renewal. My wife had a life insurance cover provided by her company. She has recently quit and is at home. I was planning to take a life cover for myself. Should I opt for a joint-life cover or look for an individual cover for her? It is important to have life insurance cover both for yourself and your wife. Assuming that you are planning to purchase a term insurance plan, it will be advisable for you to opt for a joint-life cover. This will allow you to cover two lives in a single policy under same terms and conditions. Also, the premium will be more cost effective as compared to purchasing two individual policies. In addition, since your spouse isn't working, it will be difficult for you to buy an individual life insurance cover for her. Therefore, it will be most suitable to opt for a joint life cover at the time of purchasing your policy. My father is 60 and mother 56 with no health complaints. I want to purchase life insurance for them. Until what age can I get them insured? Age limit in life insurance policies varies from one product to another. While some life insurance products offer cover until 75 years, some offer it till 80 years, and some are for whole life. You should evaluate your parents' needs thoroughly and then decide on the policy term. Want tho invest in MFs online?